The Nettles Risotto is a natural product made without the addition of preservatives or additives. 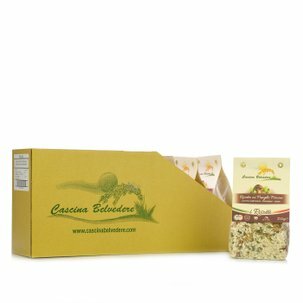 As with all Cascina Belvedere risottos, also this product is prepared with respect for the traditional recipes, combining the rice with high quality ingredients, which produces an exquisite and healthy dish that is above all easy and quick to prepare. Nettles also have purifying and invigorating properties that will make this risotto a true ally for your well-being.